When a hot billionaire property developer comes to town scouting for new properties to add to his collection, he doesn't expect to run into a woman who will turn him down flat. No one says no to Jack Castle. But then no one has piqued Jack's interest quite like Arabella Frost. 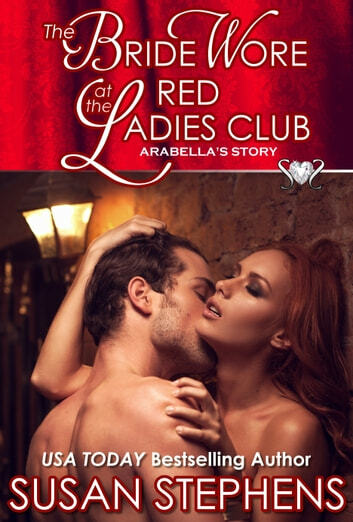 Determined to get the luscious redhead to change her mind, Jack will stop at nothing, including seduction. What Jack hasn't anticipated is that he will be drawn into Arabella's dangerous domestic situation, or that his priorities will receive a life-changing shake-up. Arabella thinks she is successfully covering up the escalating violence at home, but she's fooling no one, let alone Jack. Having been told for years that she is fat and ugly, and with her confidence at its lowest ebb, Arabella must take on the hottest man in town and beat him at his own game. With the odds stacked against her, the outcome seems inevitable, but Bella isn't a member of the Ladies Club for nothing.